Equipment covered by this Standard includes but is not limited to pulpers, disposers, and compactors used for processing refuse generated from facilities that may generate food wastes. These refuse processors are not intended for compaction of hazardous or infectious material. Specifically excluded are refuse collection trucks and refuse processors intended for use at transfer stations and in industrial operations. 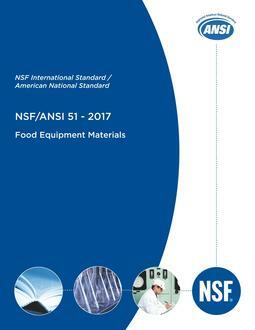 Equipment components and materials covered under other NSF or NSF/ANSI Standards or Criteria shall also comply with the requirements therein. This Standard is not intended to restrict new unit design, provided such design meets the minimum specifications described herein.